This book is about the increasing significance of DNA profiling for crime investigation in modern society. It focuses on developments in the UK as the world-leader in the development and application of forensic DNA technology and in the construction of DNA databases as an essential element in the successful use of DNA for forensic purposes. 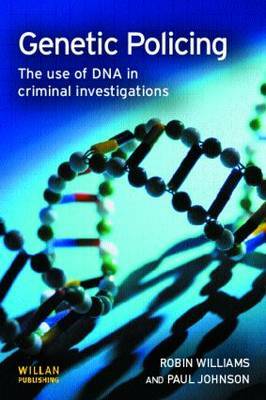 The book uses data collected during the course of Wellcome Trust funded research into police uses of the UK National DNA Database (NDNAD) to describe the relationship between scientific knowledge and police investigations. It is illustrated throughout by reference to some of the major UK criminal cases in which DNA evidence has been presented and contested.